Nike is set to kick off the new year on a high note by bringing the holiday spirit to the Nike Air VaporMax 2019 “Black/Gold” colorway. 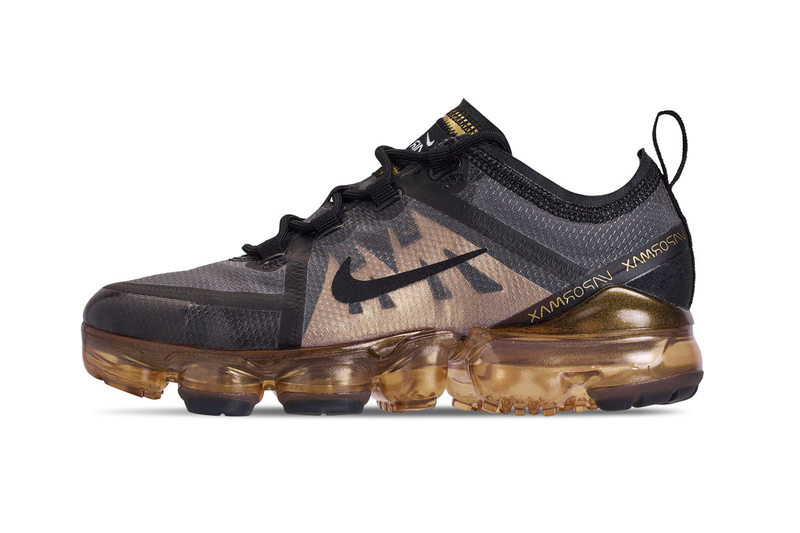 The predominately black sneaker is accented with gold throughout the semi-translucent TPE upper, completed by a glittery gold VaporMax bubble air unit sole. Final details include a metallic gold foil tongue patch and a VaporMax branding at the heel counter. This festive Nike Air VaporMax 2019 colorway will release on January 1 for $190 USD at select retailers such as Finish Line. For more sneaker news, take a first look at the BAPE x NEIGHBORHOOD x adidas POD-S3.1. Nike Air VaporMax 2019 Continues Its Festive Streak in "White/Metallic Gold"